The Ministry of Finance has proposed that the Government should temporarily suspend the collection of annual road-use fees from motorists as of January 1, 2016. The fee collection process has been in place since the beginning of 2013, but it is facing many difficulties, according to a finance ministry document delivered to the Government last week. Motorbikes are a mobile asset. The owners are not required to register their vehicles, and the vehicle does not need to be driven by its owner. This makes it very difficult to control and collect fees. Students and freelance workers have registered their motorbikes in their hometown but then brought them to the places where they work. This makes it difficult to determine which area needs to collect the fee. In addition, the penalties for unpaid fees are not heavy enough, so many vehicle owners have not paid the fee, leading to a loss in revenue and unfairness among vehicle owners since some are paying fees while others are not. Statistics on the collection of road-use fees in 2013 and 2014 from the Central Road Maintenance Fund showed that it had achieved some 21 per cent of its target. In the first six months of this year, the Fund collected 6.71 per cent of the yearly target. 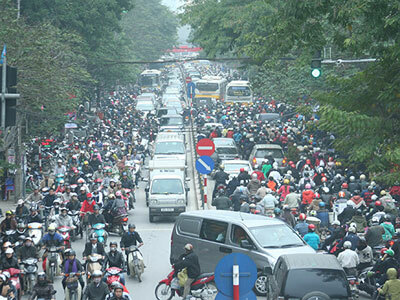 Several cities and provinces have temporarily stopped collecting the road-use fee, including Da Nang, Khanh Hoa, Quang Tri and Binh Duong. 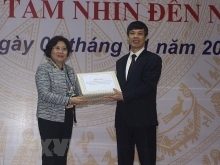 Meanwhile, some others, including Ha Noi, HCM City, Dong Nai and Ba Ria – Vung Tau, have proposed stopping the collection process. Speaking at a seminar held in Da Nang recently, Party Secretary and Chairman of Da Nang People's Committee Tran Tho said many of the local visitors he had visited had expressed opposition to the collection. "I have noticed several difficulties in collecting fees. The collection has failed to gain popularity. It is not supported by people, so it must be suspended," Tho said. The finance ministry's proposal is seen as support for Transport Minister Dinh La Thang's previous proposal that the Government temporarily suspend charging motorcycles fees from January 1, 2016. According to statistics from the National Road Maintenance Fund reported by Lao dong (Labour) Newspaper, some VND2 trillion ($89.2 million) collected per year from motorcycles is needed for local road maintenance and investment in rural roads. If the Prime Minister agrees to stop charging all motorists road-use fees next year, various localities will likely increase the registration fee for new cars and motorcycles to cover their expenses./.